Increasingly, finding a promising candidate who fits the bill on all these skills is challenging or down right impossible. Cha-cha-cha-changes. IT teams have changed and grown tremendously in the last years. From required skillset to role and responsibilities within an organization, the pressure on CIOs and IT departments to keep up has been relentless. But in this ever-changing digital age, it can be challenging to hone in on the most important skills to have. Better understand what it takes to build an all-star technical team and let these 8 essential skills be your guide. 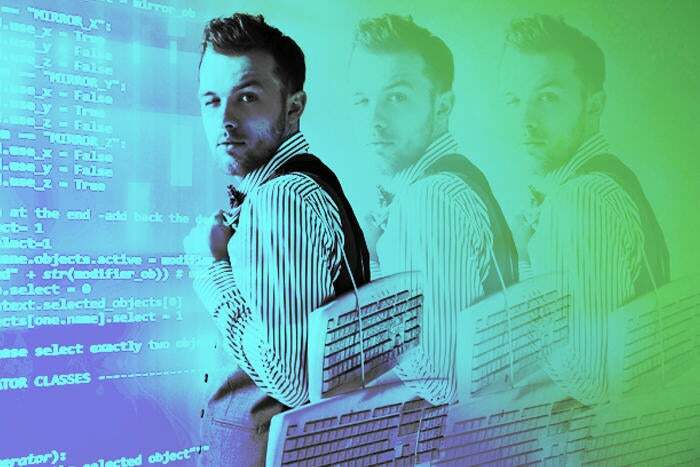 Does your IT team have these 8 essential skills? An organization is only as strong as its information, and in this day and age that means data. To maintain your competitive advantage, you need to have skilled workers who understand storage configuration, disaster recovery solutions, data governance, resilience and replication of data across the enterprise. Offering training that includes all of this is a great way to keep your organization’s vast array of documents, mailboxes, email archives, SQL databases and other critical data safe and secure. It’s easy to fall victim to software vendors’ off-the-shelf pitches and products. But usually all you need is a cost-effective solution that fits your IT infrastructure and organization perfectly. Have on-team software developers to design and implement solutions for your organization’s individual needs and save your valuable IT budget for elsewhere. ITIL is the most widely used IT organizational approach in the world. Individuals skilled in this framework understand how to address all facets of project management, implementation, and future updates for your organization’s IT needs. ITIL training helps build a strong IT team and culture and ensure robust change management measures are put in place. Security threats come in all shapes, sizes, and colors these days. After historic breaches and attacks over the last few years, best-in-class organizations are shoring up their security measures and teams to ensure they won’t be next. Skilled security experts are gold to an organization and help protect against the full spectrum of threats—denial of service attacks, company-wide virus outbreaks, and compromised business data, plus more. But this increased emphasis on security has created a global shortage of security professionals and security specialists are hard to come by. Offering training to your most promising IT employees is a great way to build the security team you need with the people you already have. Database design and management skills within your workforce can increase productivity and ensure that business functions are supported quickly and cost-effectively. Third party vendors charge exorbitant support costs when you could be passing off the duties to members of your in-house team who understand the complexities of database support and management. Network outages are not an option for best-in-class organizations, regardless of industry. Having an in-house team with the skills and expertise to navigate the various network services like VoIP, mobile networking, and networked collaborative applications means your company’s network is highly available and highly performant—musts in today’s digital age. We live in a cloud-based world where you can access almost anything from anywhere, at any time. But this flexibility and ease of access comes with its own set of challenges and security issues, and your IT team must have the skills to oversee implementation, security, and load-balancing between on-premise and cloud presence. Extending your enterprise’s digital infrastructure beyond the office’s four walls requires cloud-specific skills and practical security measures. While you can’t build an IT team without technical skills, you can’t grow one without soft skills. Soft skills—the ability to communicate clearly, work collaboratively, and analyze seemingly disparate information, help prepare your IT team to handle the ever-increasing requirements and responsibilities of the IT department. As organizations have grown and thrived in the digital age, the siloed departments and functions of the past have become obsolete. Today cross-functional teams are the new norm, and it means the human-centric soft skills have become vitally important. Increasingly, finding a promising candidate who fits the bill on all these skills is challenging or down right impossible. By offering skills-based training to your best and brightest existing team members, your organization can glean these much-needed skills from those who know it best.